You are here: Home > Duotecno domotics. 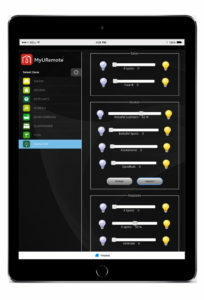 How to operate your home automation with your iPhone-iPad or Android? 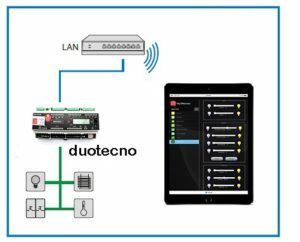 The way for anyone who’s looking for an easy and affordable way to use an iPhone / iPad or Android as remote control for your duotecno domotics system. combined with any (not only Bose) audio video system. 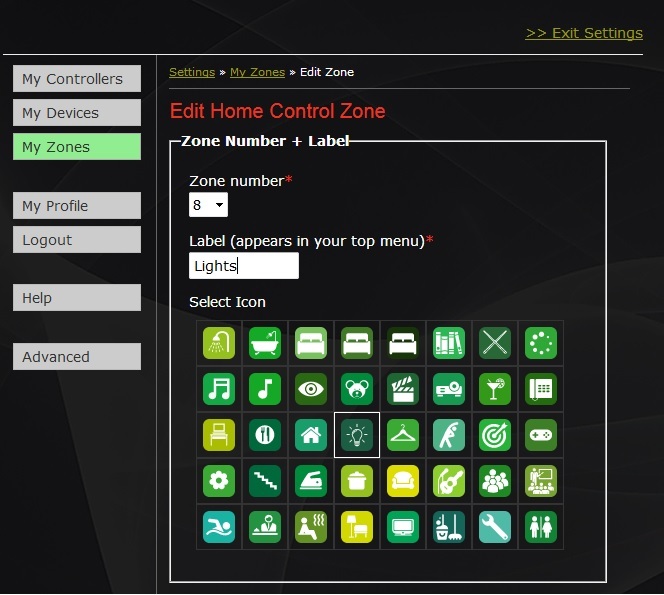 You can control the objects divided into zones and each zone can provide an unspecified number of controls. The system is bidirectional – Live feedback. 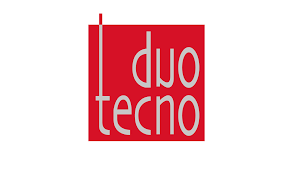 Duotecno domotics home control system. 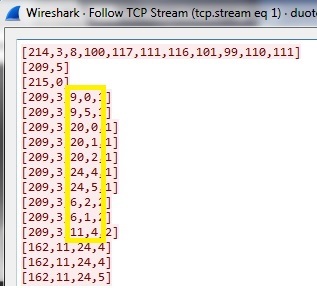 When loading the app, your device connects to the MyURemote server to retrieve your configuration. The Duotecno gateway interface box addresses and passes your command to the Duotecno bus. The objects in the Duotecno domotics system are matched to group addresses in the KMyURemote configuration. How do I connect my domotics with my tablet or smartphone? 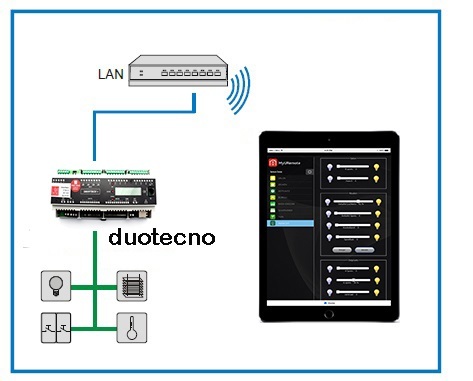 The Duotecno gateway and your mobile should be connected to the same LAN. 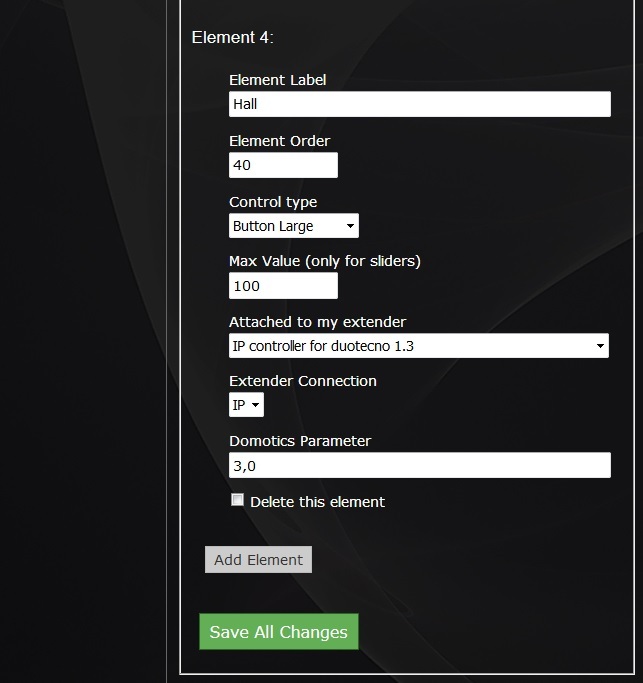 Enter the IP address of your Duotecno gateway in the controller settings. 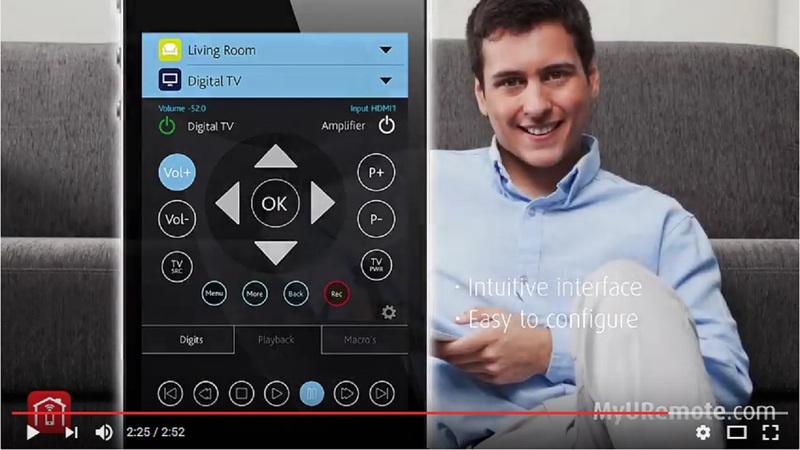 ← bTicino MyHome control with live feedback for IOS and Android.